BOMBO – Ndejje University hosts Express FC at the Arena of Visions as the StarTimes Uganda Premier League continues. 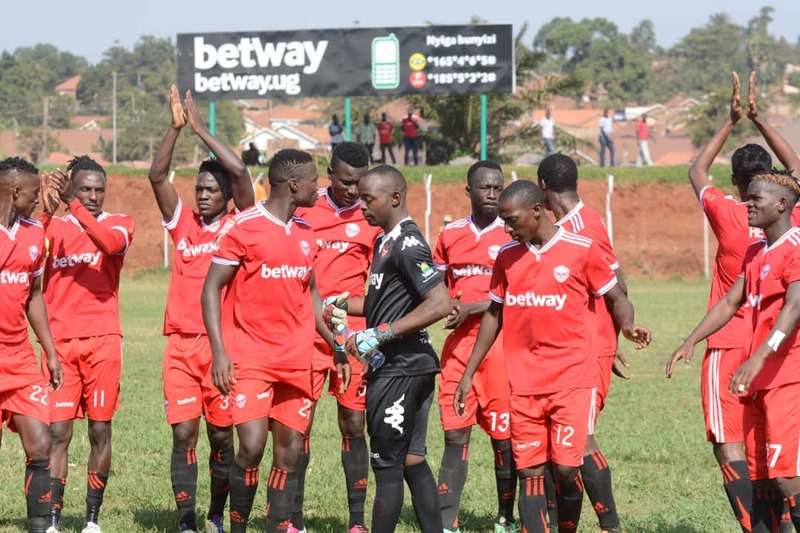 The University side held the Red Eagles to a goalless draw at Wankulukuku in their first meeting of the season. The University side had picked just two wins in 18 games when they won against Maroons at home and away to Ndejje. For the visitors, under a new manager Geaorge Ssemwogerere, they have managed one win against Nyamitobora and a draw with Maroons. Express defender Shafik Kakeeto could return to the team after sitting out the 1-1 draw with Maroons due to injury but Eric Kambale remains on the sidelines.Tony Odur and Brian Umony could make the starting line up after making telling impact of the bench last time out. For the hosts, With Francis Onekalit, Anwar Ntege and Noel Nasasira, they have a potent attack that will test a seemingly defensive minded Express. The two teams are going to be playing each other for the second time, the first having finished goalless. If Ndejje wins the match, it could jump out of the relegation zone for the first time this season. A victory for Express would make them go in the 7th position. Ndejje University is third from bottom with 16 points while Express is 9th with 25 points.